The evil Empire Strikes Back, doesn't it? With the citizens of Cleveland and Maple Heights less than two weeks ago voting 77% to ban Red Light Cameras in their cities, and a chorus of voters from Cincinnati to South Euclid banning the pernicious devices over the past seven years, you would think our legislators, the servants of the people would get the message: Keep them out of Ohio. Well, COAST has gotten press far and wide for its work, but even we were surprised at the lengthy piece on the Autoblog, here, discussing our work on Red Light Cameras in Cleveland-- a 77% win! We are hopeful the Ohio legislature will address the cameras in the coming lame duck session. When the democrat Congress enacted ObamaCare, it wanted to force reluctant Governors to set up their own healthcare exchange. Thus, they included language within the bill that persons are eligible for subsidies for healthcare coverage only if they are in “an exchange established by the state.” The alternative to “an exchange established by the state” is that for those states that fail to enact an exchange, individuals are relegated to the federal exchange. COAST sponsored two ballot initiatives in 2014, red light camera bans in the City of Cleveland and the City of Maple Heights, a suburb of Cleveland. They were, respectively, Issues 35 and 99 on the Cuyahoga County ballot. Both issues were placed on the ballot by a coalition of black-white, republican-democrat activists, similar to those that banned the cameras in Cincinnati. It was a night even the most optimistic observers did not anticipate, November 4, 2014: A potential 10-seat pickup and control of the U.S. Senate and a 13-seat picket-up (so far) for the already lopsided U.S. House. Now comes the dangerous part, Barack Obama, unleashed. We hate to rain on the parade, and what a parade it was! But America has created an imperial Presidency never envisioned by our founding fathers in three ways: (i) a Congress (Republicans and Democrats) that passes open-ended legislation that gives wide berth to the Executive branch to write regulations and implement legislation broadly, (ii) Courts that refuse to enforce the Constitutional and statutory lints on the powers of the Executive, and (iii) great liberties taken in successive administrations with the powers given to them. We are decidedly not, in this entry, placing the blame for any of these factors on Democrats exclusively of the Obama Administration specifically, although they are the latest and greatest abuser of these factors. COAST watches with some amusement with politicians and community leaders bobbing to the left and twisting to the right, trying to determine which way the wind is blowing before deciding how to vote on an issue. Down to the wire or blow out? The surveys, the pundits, the talking heads, the spinners, the numbers! The issue, the real issue, Tuesday is control of the US Senate: Harry Reid or Mitch McConnell in charge. A sub-issue is the governorships up for grabs. These contests will set the stage for 2016. The predictions are all over the board, and the GOP had serious ground to make up in the Senate contests to seize control, but the general consensus is that we have a fighting chance. And for COAST, that's all we ask: a fighting chance. We'll take those odds. GOP and conservative activists are downright giddy at the complete collapse of the Democrat Party in Ohio in 2014. If things remain on their current trajectory, Governor Kasich, AG DeWine, Auditor Yost and other statewide candidates will cruise to victory, and the GOP will retain sizable majorities in the House, Senate, and Ohio Supreme Court. So, it's time to celebrate, right? Well, not exactly. We have been so pre-occupied in following the foibles of Ed FitzGerald that we have missed the opportunity to analyze his crazy, liberal Cleveland Democrat positions in the race for Governor. And that's unfortunate in that he is indeed just another crazy liberal Democrat from Cleveland. For those of us from Cincinnati, Cleveland Democrats are a whole new level of crazy. These guys in Maple Heights are funny! As we reported here, late Friday afternoon, the Ohio Supreme Court ruled that the Maple Heights City Council had to follow the Constitution of the State and place on the ballot a Charter Amendment that has been submitted to Council on a petition signed by more than 10% of the City electorate. 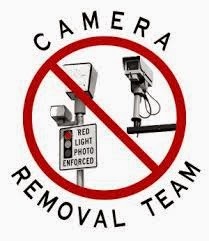 The Charter Amendment will effectively ban the use of red light and speeding cameras within the City. For the past six weeks, the Law Director and City Council of the City of Maple Heights, Ohio have refused to follow their duties under the Constitution of the State of Ohio by placing on the ballot a Charter Amendment limiting the use of red light and speeding cameras in their fair City. The citizenry had obtained a sufficient number of signatures to secure ballot access, but the City fathers just did not seem to care. So COAST did what COAST does, and we sued them. Today's Columbus Dispatch calls on the Ohio Elections Commission to end the litigation over Ohio's law banning "false statements" enforced by the Commission. Last week, Judge Timothy Black declared the law unconstitutional and permanently enjoined its enforcement by the Commission. The Dispatch editorial asked the Commission not to appeal that ruling, saying that an appeal "likely would fail and waste money." The subject of this post is a September 3, 2014 Facebook Post of Council member Chris Seelbach, and his letter to the editor in the Cincinnati Enquirer. Before we offer our commentary, we want to note that the topic of the Seelbach post is important, and certainly worthy of debate as a community priority. We believe a thorough discussion of the reasons and cures for infant mortality and Ohio's #1 role in this scourge is entirely appropriate. Four years later, COAST and Susan B. Anthony List - and all Ohioans - have their First Amendment Rights vindicated! Ohio's law criminalizing false speech about a political candidate has been permanently enjoined by Judge Black. Read more about the case, including the decision here. Coast Attorney Chris Finney spoke with Bill Wills of Clevaland's WTAM to discuss the upcoming ballot initiative in Cleveland to ban unattended red light cameras and the Ohio Supreme Court fight to get a similar initiative on the ballot in Maple Heights, Ohio. The city fathers of Maple Heights are fighting tooth and nail to keep this from going before the voters. Kevin Flynn spent fifteen minutes with Willie Cunningham on 700 WLW last week explaining that he only violated his promise to voters to stop the Streetcar because some unnamed people mislead him. He was bamboozled by the empty promises made to him by people who promised him the operations funding ($4-$5 Million per year) were on the way. The end appears near for the OEC's "Reign of Intimidation." It's been a 4-year journey, but COAST is pleased to report that the reign of intimidation of the Ohio Elections Commission over political speech in Ohio appears to be coming to an end. The fabric of our democratic republic is woven with an underlying respect for opposing forces and for our systems of "laws not men." Year after year, by and large, Democrats and Republicans play by the rules, and accept the outcome of elections, win or lose. It was an underlying assumption under our Constitutional system that it hinges upon fair play so that our differences would be aired at the ballot box rather than with guns and bombs. A new Hamilton County jail. A renovated Cincinnati Music Hall. A refurbished Cincinnati Museum Center. Re-doing the century-old buildings at Cincinnati's Zoo. A streetcar to Clifton. Preschools for every child. Better police and fire protection. Fixing the long-neglected Cincinnati pension. Lavish facilities at Ohio's Colleges and Universities. A new public arena for Cincinnati. Improved technical and vocational educational facilities and programs at Cincinnati State. COAST attorneys Chris Finney and Curt Hartman were singled out for praise by Cincinnati Enquirer reporter/editorialist Cindi Andrews in her recent piece. COAST's legal dream team, lead by Chris Finney and Curt Hartman tallied two wins at the U.S. Supreme Court in June. In both cases, the Court was deciding whether COAST had standing to challenge Ohio's political speech suppressing Political False Statements law. Could it be possible, a second US Supreme Court win in June 2014? We know it all seems implausible, impossible, inconceivable, but COAST could have a second win at the U.S. Supreme Court announced on Monday. Today, COAST prevailed in its first case at the United States Supreme Court, Susan B. Anthony List v. Driehaus. Justice Thomas authored the unanimous opinion. Read about it here. COAST exists to limit tax rates and spending at the federal, state and local levels. However, U.S. Chairman of the House Ways and Means Committee, Dave Camp’s (R-MI), recent tax reform proposal includes tax increases that may not appear ill-intentioned, but the long term impacts will affect business expansion and job creation. COAST Attorney Christopher Finney discussed the Supreme Court oral argument and the twisted saga of the Ohio Elections Commission, with Brian Thomas this morning. We reprint below today's Facebook entry of COAST attorney Chris Finney on yesterday's US Supreme Court oral argument in Susan B. Anthony List and COAST v. the Ohio Elections Commission. A lot of things transpired yesterday at the US Supreme Court, all of them really good. I will share a few stories in the entries over the next couple of days. The history of how we got there was important. For five years I have had a principle I thought important -- stopping the Ohio Elections Commission from implementing a statute in a manner that was absolutely abusive of everything I understood about the First Amendment. In a case at the beginning of this journey, I watched bureaucrat after bureaucrat empowered by an unconstitutional statute blithely trample the First Amendment rights of those who chose to participate in the great political debates in communities throughout Ohio. However, in a series of cases before three different local federal District Court Judges, and all 15 Judges on the 6th Circuit Court of Appeals, not a single one seemed to appreciate the arguments we made. They either rejected or could not seem to understand the important "chilling" argument about the OEC "false claims" proceedings, and one at a a time in a series of decisions upheld the clearly unconstitutional scheme. Our legal team lost case after case, four of them in all. Not a single Judge of 18 that looked at the issue agreed with our position. But we persisted in the relatively difficult and expensive task of bringing the case before the United States Supreme Court. They accept less than 1% of all cases brought to them -- this year only about 80 of 10,000 "cert" petitions were granted. Finally, yesterday, one by one, each of the nine Justices revealed in their questioning that they each had a fundamental understanding of exactly the issues we had complained of, and they held to account the state bureaucrats who trampled First Amendment rights we fought so hard -- and vainly up until now -- to vindicate. In my public interest practice, I have said that there is no moment so satisfying as when I force an out-of-control bureaucrat to stand before a Judge and account for his conduct. That happened yesterday in the highest court in the land, and it was enormously just to witness. Even this Supreme Court case is just another step in a long, but appearing now inexorable, process to have Ohio's False Claims law declared unconstitutional. But seeing that the case will turn out eventually as it should is a great professional milestone. It is likely that I will never pass this way again. For me, it was absolutely everything it was cracked up to be. And the Washington Post today has a "before the argument" story explaining "Why the Supreme Court's 'right to lie' case is not really about the 'right to lie.'" Read that important story here. Columbus Dispatch details criminal conviction for -- engaging in political speech in Ohio! Everyone assumes it is -- as a practical matter -- beyond the reach of reason that the Ohio Elections Commission and the Courts of Ohio to actually convict and criminally punish someone for engaging in campaign speech in Ohio. But it is not just theoretical under Ohio's pernicious statute punishing political speech. It has happened! Today's Columbus Dispatch details a criminal conviction in Ohio for engaging in an act dangerous to society -- political speech! Because the State courts and the federal courts -- until now -- refuse to reel in the out-of-control Ohio Elections Commission, tomorrow's Supreme Court oral argument is our first real shot at striking down this unconstitutional enforcement scheme. As those who follow COAST have seen, we have used all of the tools available to us that are legal, ethical, moral and possible to achieve our goal of transforming government in southwest Ohio and throughout the State to give more liberty to our citizens, and to reduce the size, reach and scope of government. Towards that end, we have been aggressive, creative, and innovative. We have used ballot issues, paid media, earned media, social media, traditional campaign techniques, and law suits. We have pushed the envelope to transform our community from one bound up by big government, big unions, and big business in an all-too cozy relationship that oppresses the citizenry to one in which entrepreneurism and individual liberty prevails. It drives the powers-that-be absolutely crazy. And it has been by well-planned design, not happenstance. We have killed the jail tax, red light cameras, the Water Works takeover, and the Parking Plot. We have stopped CPS, Laure Quinlivan and the City of Cincinnati from abusing tax dollars for campaign purposes. In short, we have upset the delicate balance of power in greater Cincinnati that for decades favored a relentless drive forward for bigger government and higher taxes. And in response, we have stirred a hornet's nest of opposition and resentment from those who had designs on your wallet. COAST has rained on the parade of the powers-that-were in Cincinnati. We have had stunning political wins for a ragtag band of insurgents. And today, as a result, we influence a broad spectrum of the political landscape in Cincinnati. It has been a great run. But all of this pales in contrast to COAST's latest venture -- at trip to the United States Supreme Court to kill Ohio's False Claims Statute and the pernicious (and obnoxious) enforcement of the same by the arrogant Ohio Elections Commission. Read about it here. An absolutely out-of-control OEC, immunized from its own outrageous conduct by the Federal District Courts, the Sixth Circuit Court of Appeals and the Franklin County Common Pleas Court, has abused the rights of Ohio citizens engaged in political discourse for more than three decades. It has been a reign of terror by an out-of-control public body, a modern-day inquisition, a Star Chamber, effectively sanctioned by the very Courts who should have clipped their wings long ago. Well, their party is about to end, and it's going to take the adults on the United States Supreme Court to do it. We anticipate a stunning rebuke of the bizarre and abusive practices of the OEC by the nation's highest Court. Stay tuned Tuesday, and thereafter for the end of the Kafkaesque oppression foisted on the citizens of Ohio. We confidently predict that it will be COAST's finest hour to date when the decision is issued. Our legal team before the US Supreme Court is led by two brilliant and seasoned Jones Day attorneys, Mike Carvin and Yaakov Roth. They wrote in yesterday's Wall Street Journal, explaining as well as we possibly could, our case before the US Supreme Court Tuesday. What is at stake is not the "right to lie" as our opponents claim, but the question of whether the citizens of will continue to empower a panel of politically-appointed bureaucrats to decide what they think is true and false in election campaigns -- holding over the heads of all Ohioans up to six months in jail if they disagree with what you may have to say. Read it here. It is very well said. COAST is proud to endorse conservative Jonathan Dever for State Representative in the 28th District GOP Primary. Dever, a first time candidate, has been a fixture supporting conservative causes and Republican candidates in Hamilton County. Dever currently owns two small businesses, and his wife owns a 3rd, that employ 15 people. Jonathan has proven his conservative credentials in not just his words but his actions, and COAST looks forward to him representing SW Ohio in the State House. 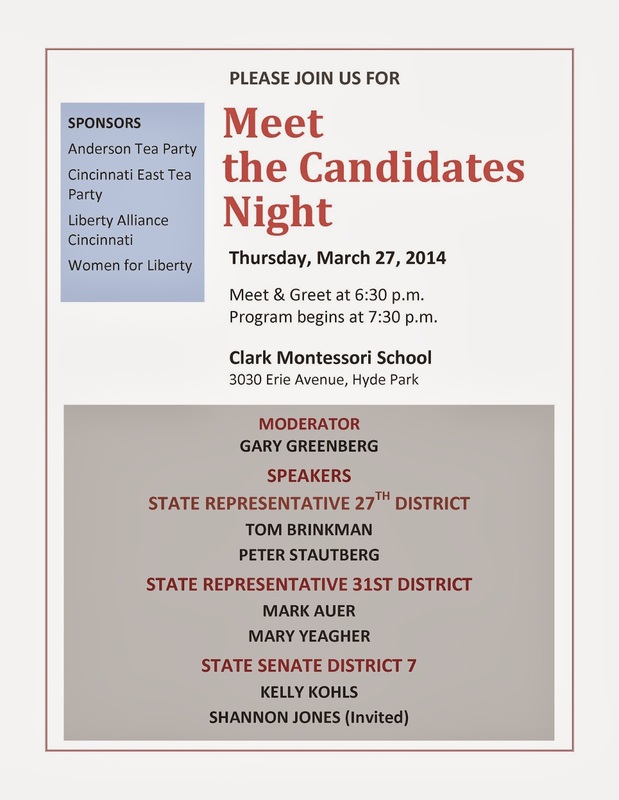 Dever looks to defeat tax-and-spend Republican Rick Bryan, a Blue Ash Councilman. Bryan has an extensive and disturbing record of raising taxes and wasting significant taxpayer funds on large, questionable projects. For example, Bryan is currently building a comically wasteful $75 million park. This will cost the equivalent of $6200 per Blue Ash resident - more than the Wall Street Bailouts and Obama Stimulus COMBINED! 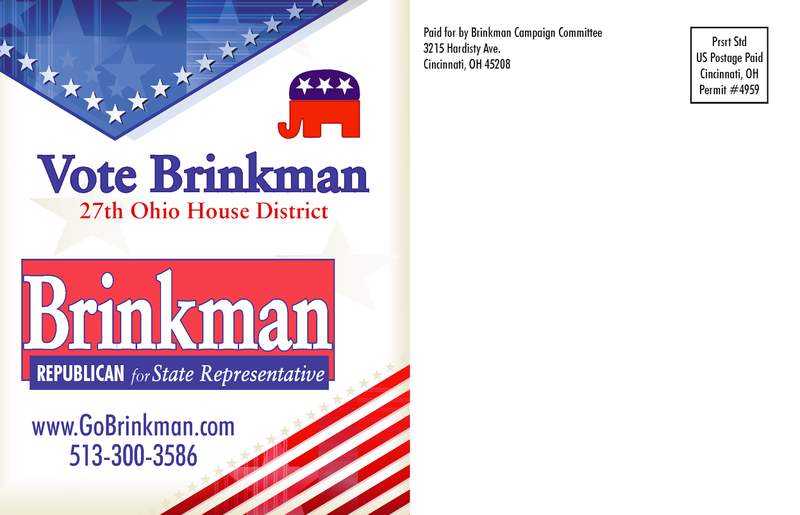 Rick Bryan voted for and enthusiastically endorsed a 25% Earnings Tax hike on Blue Ash workers and residents. He lined up behind David Pepper and Todd Portune to support a massive countywide Sales Tax increase that the voters wisely rejected. Bryan even said we should have re-elected the incompetent Bob Bedinghaus based on his (disastrous) work on the stadiums. Shockingly, in 2012 Bryan used his position as a Blue Ash Councilman to help fund the Cincinnati Streetcar. Bryan happily obeyed former Mayor Mark Mallory's demand to rescind, then redo the 2007 airport land deal between the two cities in a way that allowed Cincinnati to legally spend the proceeds on their streetcar fiasco. Bryan sold out the people of Blue Ash and Cincinnati to help fund a streetcar that most 28th District residents want no part of. While many elections come down to the lesser of two evils, we are pleased that this race isn't one of them. 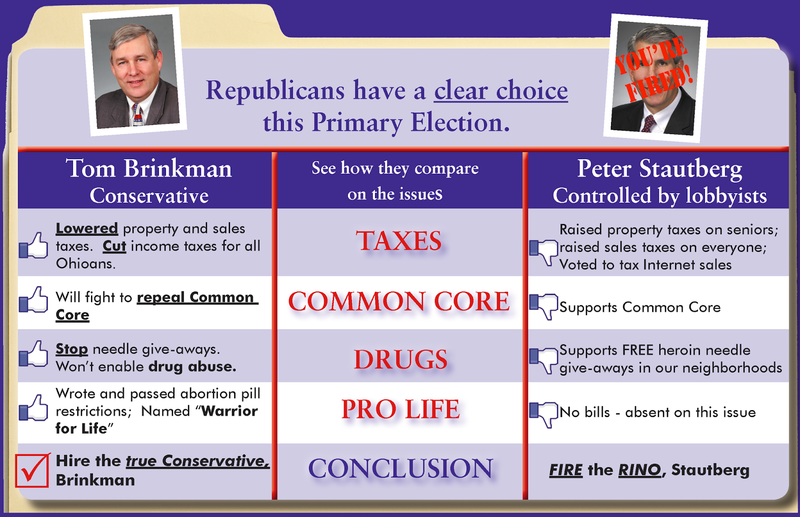 Conservative Jonathan Dever is a significantly better choice than Tax Hikin' Rick Bryan and has earned our support. 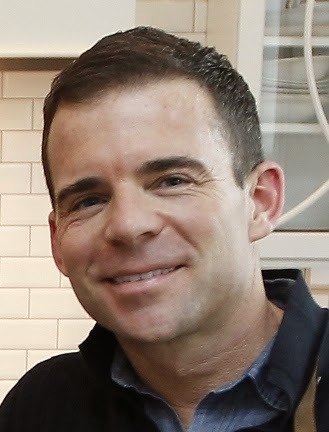 Learn more about Jonathan Dever here. A media wrap as we pack our bags for D.C.
COASTers are packing their bags for their big trips this weekend to our nation's capital to prepare for their appearance before the nine fine Justices of the United States Supreme Court. And as we do, we thought, you might want to enjoy the board range of stories from all over America on the hornet's nest we have stirred up once again. There is a blog devoted to extensive coverage of the United States Supreme Court -- the SCOTUS blog. Its objective, in-depth and scholarly writing draws positive reviews from court watchers. Today it has an extensive blog post on our case that is being heard next Tuesday before the United States Supreme Court. 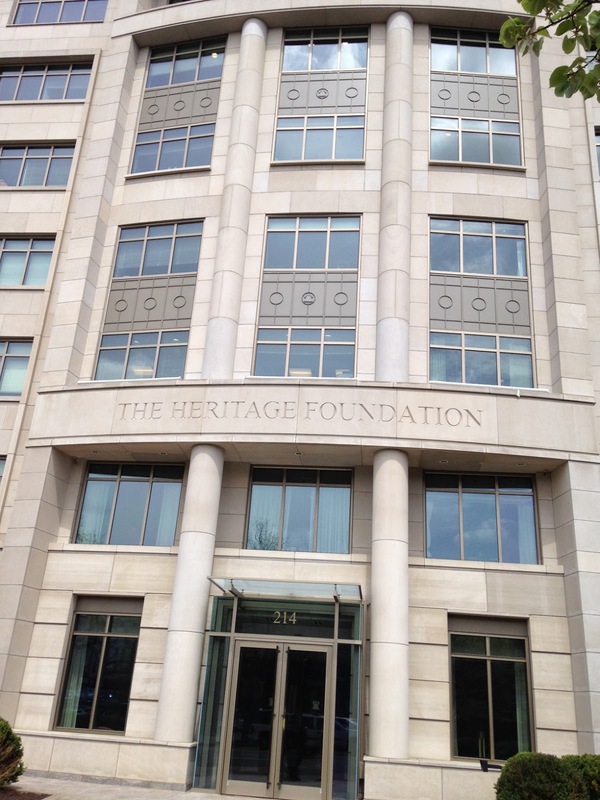 Today, the Heritage Foundation hosted a "moot court" dry run through for next week's oral argument before the U.S. Supreme Court. Present was our lead counsel, and more than a dozen of the top conservative attorneys in the country, who peppered him with questions. COAST was represented by Cincinnati attorneys Chris Finney and Curt Hartman at the event. It is a big week as we build up for next Tuesday's oral argument. Susan B. Anthony List and COAST v. Ohio Elections Commission continues to generate considerable attention from Supreme Court watchers. The widely-read SCOTUS blog today features commentary about the two briefs from Ohio Attorney General Mike DeWine and U.S. Solicitor General's brief. Amici score: 67-0 for the Good Guys! It is decidedly not the way the United States Supreme Court makes decisions: looking at the number of amici filing briefs on each side of a case. Indeed, we would want them to decide cases based upon the law, and not on some sort of popularity contest. Still, the lop-sided nature of the amici score, and the vast array of Amici in support of COAST's position, in the case of Susan B. Anthony List and COAST v. the Ohio Elections Commission tells you something about the nature of the issues before the Court. On the other hand, ZERO briefs have been filed in support of the position of the State of Ohio. Not a single one. That may tell us a little something about this oppressive regime that exists in Ohio, that no one but the Elections Commission itself thought it was worth defending. The oral argument is April 22. Several COASTers are planning a sojourn to D.C. to watch the historic events unfold, the beginning of the restoration of our free speech rights in Ohio. Stay tuned. Defending the indefensible free speech chilling political speech regulation, comes now the State of Ohio in its Respondent's Brief before the United States Supreme Court. We must give them credit, the Ohio Elections Commission is not going down without a fight! For eight long years, Cincinnati's media and business leaders watched month after month and year after year as the City made one irresponsible fiscal decision after another, and the City sank into fiscal despair. And they did nothing. COAST, along with a few Council members -- Smitherman, Murray, Lippert, and eventually Bortz and Berding -- rang the alarm bells. But Mayor Mark Mallory insisted on driving the train of municipal finances into a brick wall. As sure as a housing crisis cooked up by Barney Frank and Chris Dodd, the chickens have come home to roost: yesterday Cincinnati's bond rating was again lowered. Mayor Cranley has it right. Of the twin effects of higher interest rates and loss of Cincinnati's reputation of being fiscally responsible, the latter is the far greater loss. 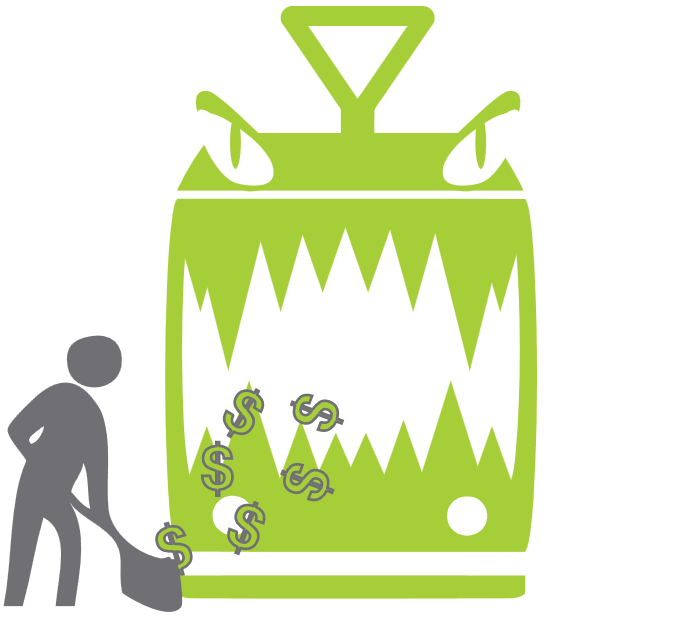 Of course, the new Council, drunk with their new power, went on a spending spree from Day #1 with the Cincinnati Streetcar and its annual $5-$10 million in operating expenses. So Mayor Cranley has to do battle daily with a cabal bent on the same destructive policies that brought us to this place. Read it in the Enquirer here. Adam Liptak of the New York Times, who last year covered Mark Miller's "Tweets" free speech case, today covers the COAST/Susan B. Anthony List case heard by the US Supreme Court on April 22. It is a well-written piece that covers the highlights. He is skeptical that the Cato Institute's brief humor will have the desired effect. The Financial Times has an interesting article on the resurgent GOP, a GOP whose death has been repeatedly predicted. Yet there is something deep within America’s political DNA that recycles first-generation social democrats into second-generation conservatives. For most of the 20th century, Catholic Italians and Irish were a reliable Democratic voting block. Richard Nixon and Ronald Reagan changed that partly by using dog whistles to play on their racial fears and partly by appealing to their upwardly mobile aspirations. The leading organization aimed toward protecting the individual rights of students and educators filed a blistering amicus brief, calling for the Supreme Court to unlock the courthouse door and allow SBA List and COAST to challenge the Constitutionality of Ohio's Free Speech chilling and Free Thought killing law. The Foundation for Individual Rights in Education (FIRE) rightly points out that speech chilling laws like Ohio's political speech regulation must be subject to pre-enforcement challenge lest those who seek to silence political critics will be emboldened. COAST is humbled by the depth and breadth of legal thought that our case is attracting from FIRE and all of the Amici; and we are ever strengthened for the fight not only for our own rights, but to help insure that all Americans - no matter what their politics - are free to express themselves to the Constitutions fullest extent. There seems to be a symbiosis many times between Big Media and Big Government, where the arrogance of the latter is presumed, and promoted, by the former. However, that is not so in the case of this fantastic editorial from the Cleveland Plain Dealer about the uber-thuggish Law Director of the City of South Euclid, Mike Lograsso, and his enablers, the elected officials in that burb. He actually called local citizen activists: "lowdown scumbag piece of garbage" in a public meeting, apparently failing to take to heart the term "public servant." Read it here. It is a thing of beauty. 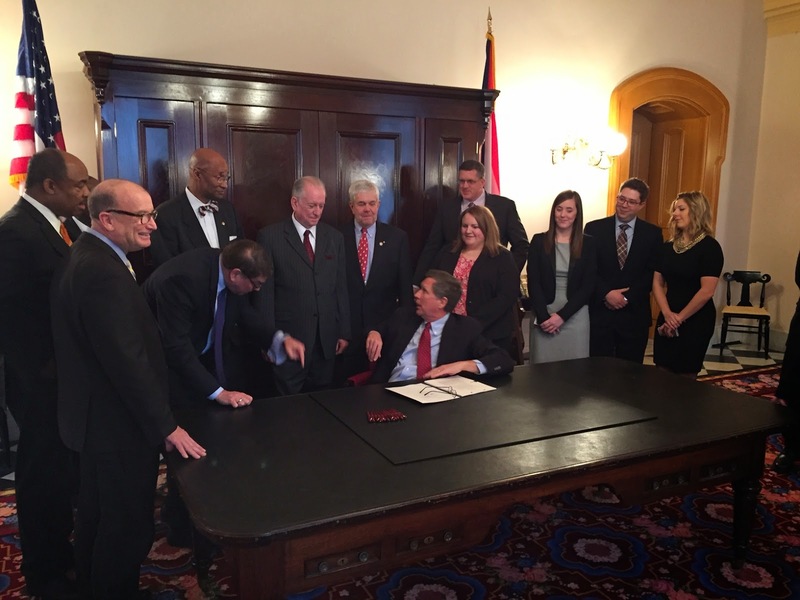 This week has been declared "Sunshine Week" in Ohio, dedicated to highlighting Ohio's Sunshine Laws and the performance of public officials and courts under them. COAST has had dramatic success in southwest Ohio in enforcing Ohio's public records laws, training public officials to promptly and properly respond to records requests. It used public records requests in 2013 to shine a spotlight on the disastrous Parking Plot, and the Streetcar debacle. From the aggressive use of the public records statute, through requests and litigation, we have forced a much greater degree of governmental accountability than ever before. As was reported here, we also have had success under the Ohio Open Meetings laws, forcing Clearcreek's Trustees to end a practice of 26 years of illegal pre-meeting meetings, where everything was discussed, deliberated and decided behind closed doors. Courts throughout Ohio and now the Ohio Supreme Court in its South Euclid decisions have shown overt hostility to Oho's Public Records law, and in the most recent two decisions effectively repealed it. They did so by ruling that as long as the public agency produces the records before a final judgment is rendered (even if after years of litigation), the case is "mooted" and no attorneys fees or costs are awarded. The net effect of these decisions is that no attorney would ever accept a public records case, and thus the statute has been gutted. Worse, the decision is cut from whole cloth, and entirely unsupportable by the language of the statute -- in other words, the Court re-wrote the law to suit its whims. So, there is not so much Sunshine in Ohio this Sunshine Week. The forecast for open government is cloudy at best. Read the brief below. Remember: READ THE FOOTNOTES! Filed by the Solicitor General on behalf of the United States. The nearly four years' long battle against Ohio's political speech police was recently joined by forty-six friends of the court who filed nineteen separate amicus curiae briefs in our Supreme Court case, SBA List & COAST v. Driehaus, et al. - every one of them in support of the SBA List and COAST. The amici are a veritable who's who of free speech, limited government and civil liberties organizations (and one of America's pre-eminent humorists) including the American Civil Liberties Union, the American Library Association. It is comforting to know that no matter these groups' divergent political views, they all hold the Constitution dear. American Library Association, Association Of American Publishers, Inc.
Annie Bloom's Books, Changing Hands Bookstore, Inc.